School bullying statistics in the United States show that about one in four kids in the U.S. are bullied on a regular basis. Between cyber bullying and bullying at school, the school bullying statistics illustrate a huge problem with bullying and the American school system. These numbers are too high! Parents, teachers, and those in daily contact with children on school campus’ need to do something to stop it. Children also need to stand together and put an end to bullying. 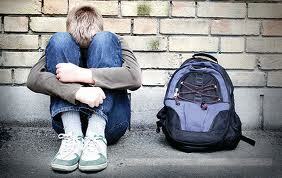 When children see their peers being bullied, the incident needs to be reported or get help. If children band together to address these issues, there will be strength in numbers. By standing together to prevent bullying in every school, the number of bullying incidents can drop along with those incidents of children hurting themselves, and others, because of they fear for their life while attending school.